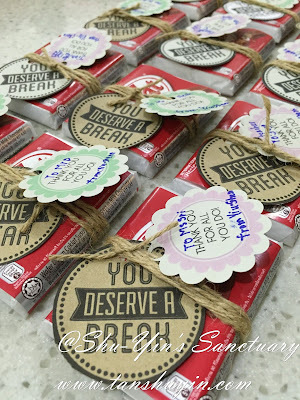 Shu-Yin's Sanctuary: Kid's Art & Craft: Kit Kats for Teachers Who Deserve A Break! 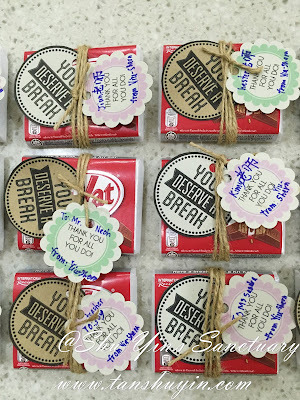 Kid's Art & Craft: Kit Kats for Teachers Who Deserve A Break! 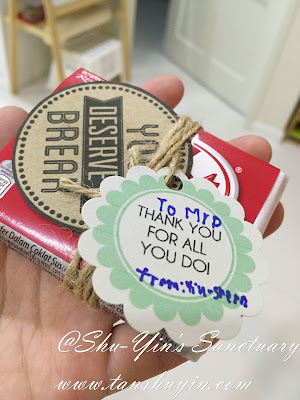 Due to lack of time, and that Shern requested for Teacher's Day gifts to ALL of his teachers, I resorted to search for a gift that is easy and inexpensive. And I also added a "Thank You For All You Do" and punched it out using a round scallop punch. 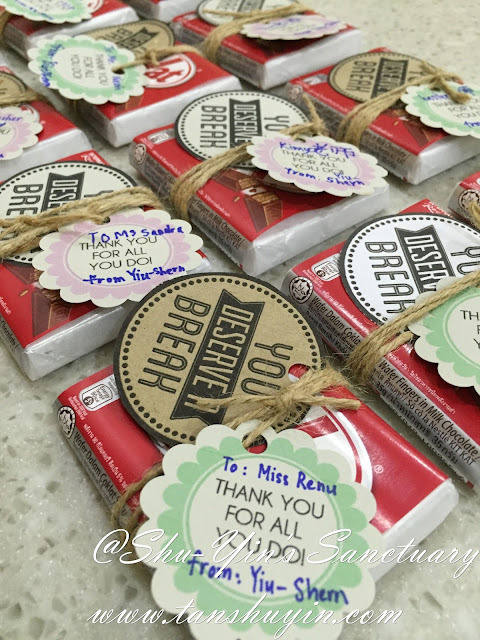 Tied both of the tags with twine and all ready to give to the teachers! 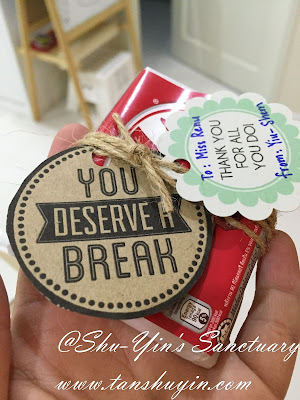 Shern helped to punch the holes and to write out the teachers' names on the tags. I helped them tie and secured it with twines. This is how they look like up close. 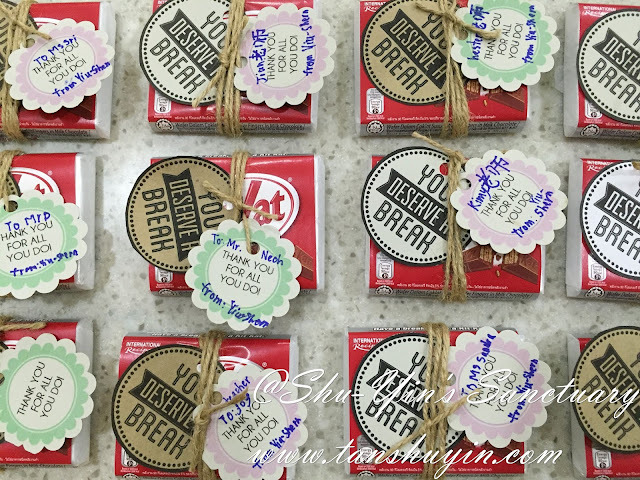 The many Kit Kats we did! I loved how they end up looking so pretty, and yet the gift is practical and inexpensive. I bought these 4-finger bars ar Tesco when it was on discount!